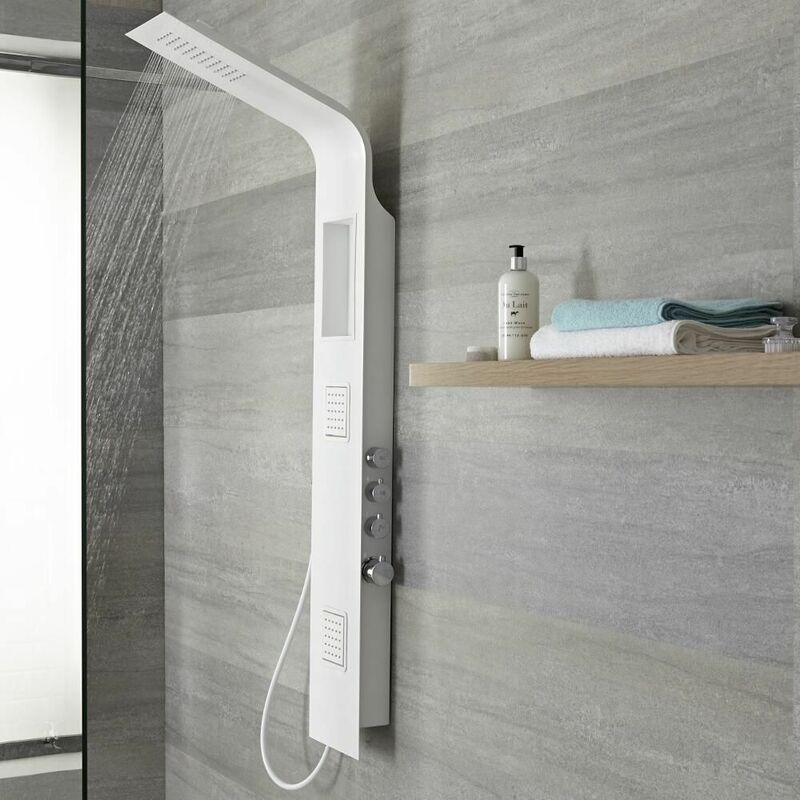 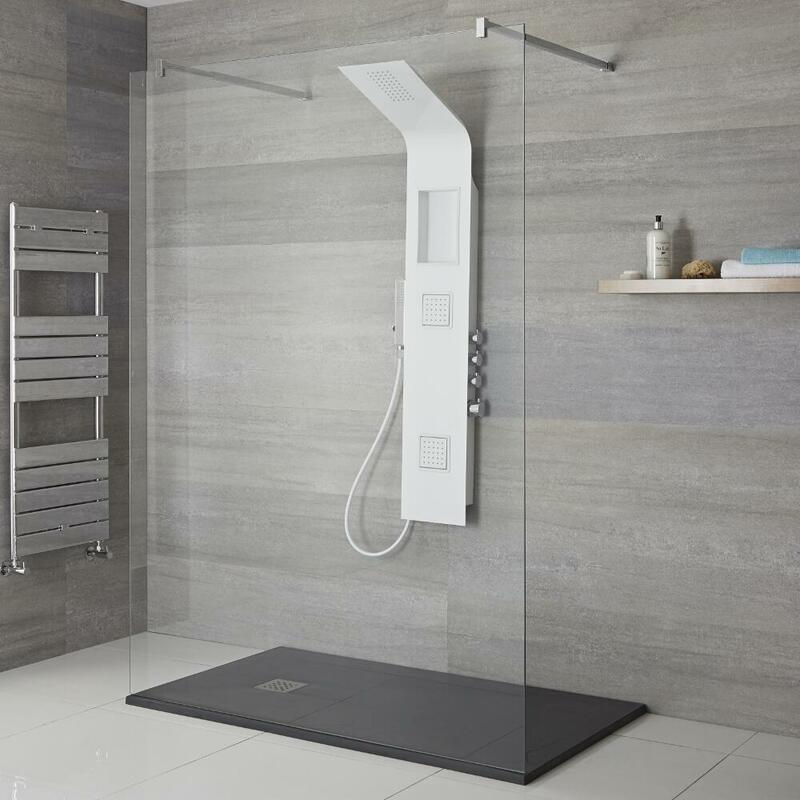 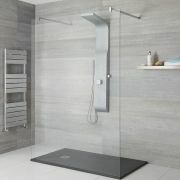 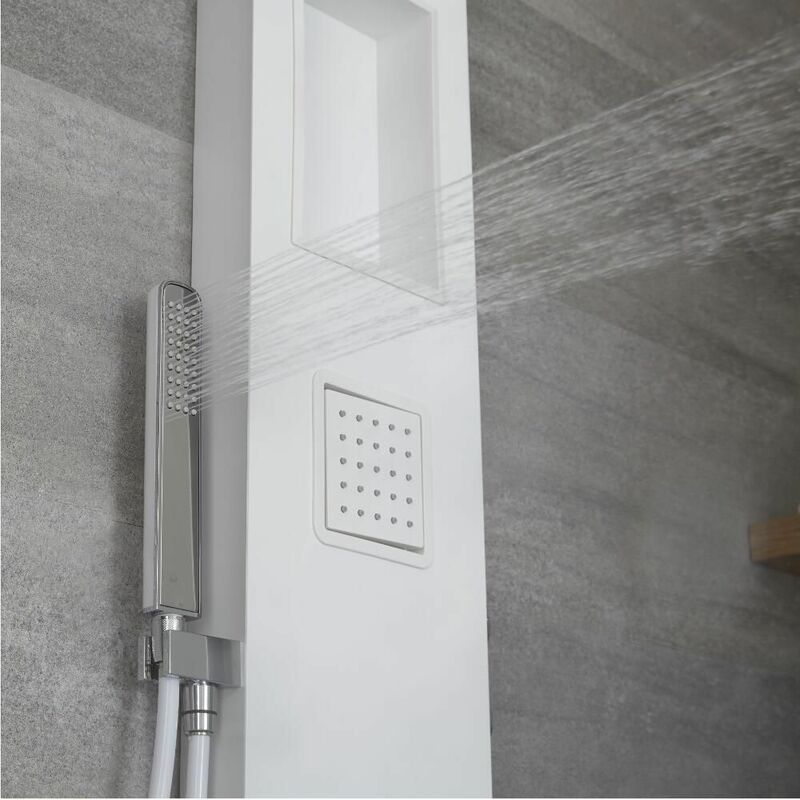 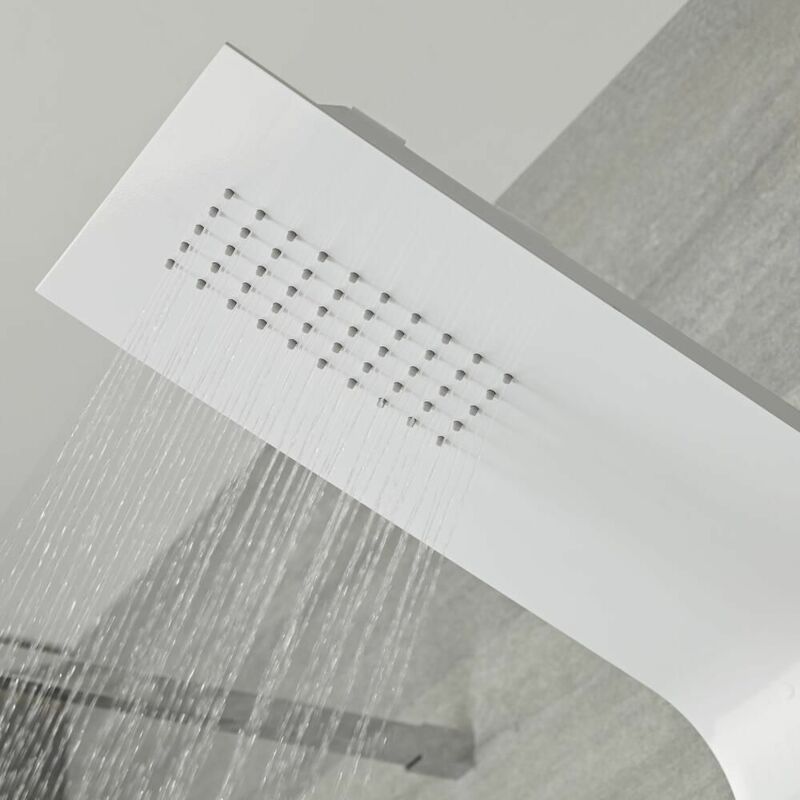 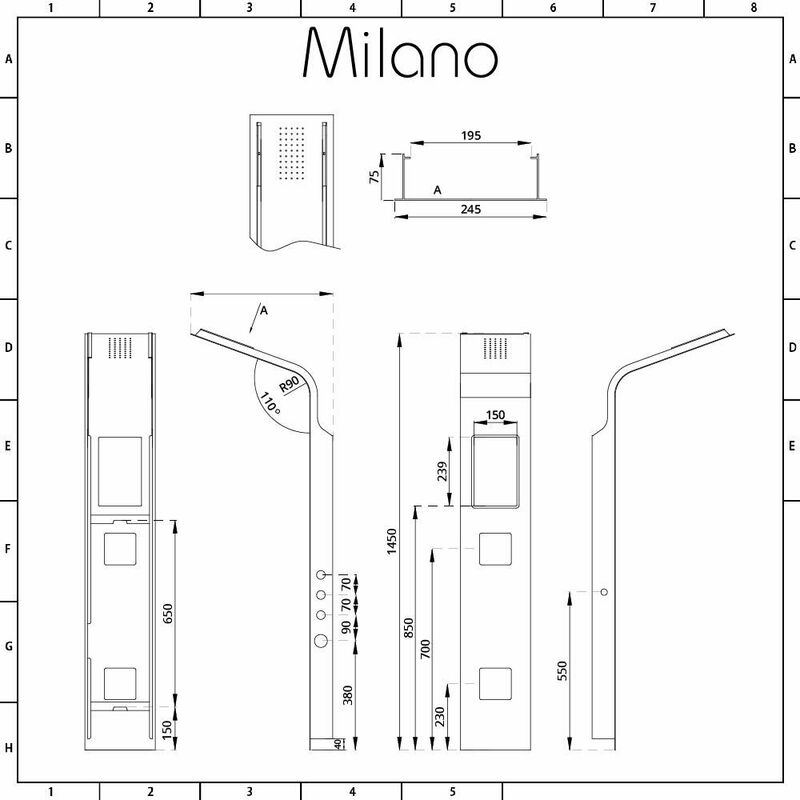 Add smart, designer style to your bathroom and enjoy a superb showering experience with the Milano Orton thermostatic shower tower. 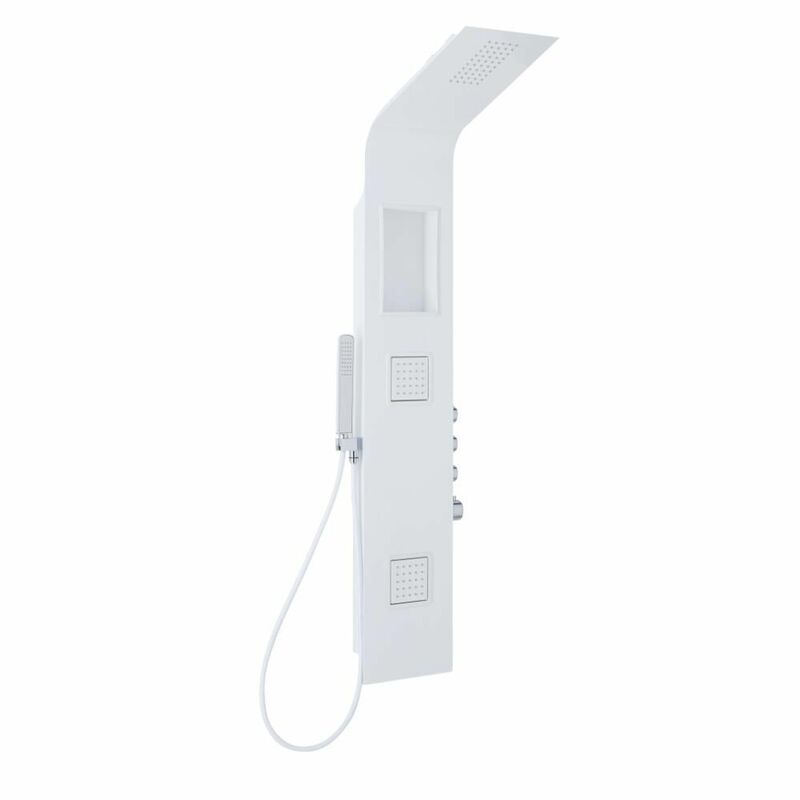 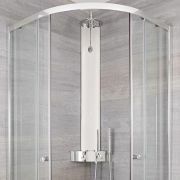 Easy to install, this shower tower features contemporary looks and a white finish. 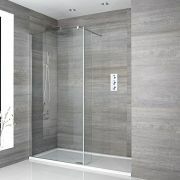 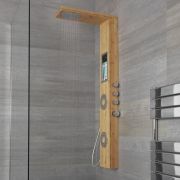 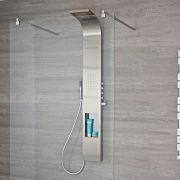 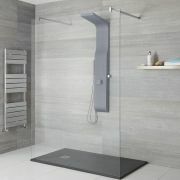 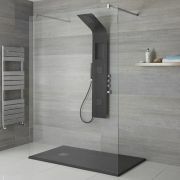 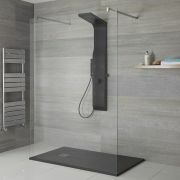 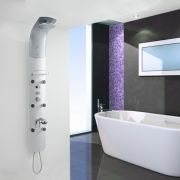 It incorporates a handy shelf for your showering essentials, rain shower head, hand shower and two massaging body jets.